Elal Lasola is a travel writer and photographer who embarked on traveling; a year after graduating college, in the hope to experience and capture what is raved and not raved about. 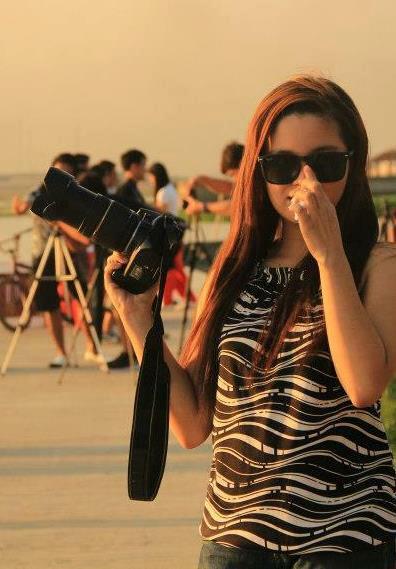 At 28, she has won awards from contests such as the 2017 Batanes Photo Contest (Winner), 2016 Cité des Sciences et de l'Industrie’s ‘Windows of the City’ Photo Competition (Jury Prize Winner), 2015 Philippine Blogging Awards - Best PhotoBlog (Finalist), DPP's KLM On Assignment Barcelona Photo Contest (Second Place), 2013 Zooperb Shots On-the-spot Photo Contest (First Place), and 2013 Asian Traveler Magazine Photo Contest (First Place). She has shared her experiences during the Photo Journalism: A future profession in the tourism industry seminar with the College of Tourism Management of University of the Assumption (2018) and radio interview by DZAR 1026 Sonshine Radio's Biyahe at Gimik (2012). Her works were also featured in Manila Bulletin's Picture Perfect, Skyjet's Dash Magazine, Sabah Tourism (Malaysian Borneo), Ecologik Magazine (French Magazine), Urban Mutations Exhibition (Cité des Sciences et de l'Industrie, Paris), Guam Visitors Bureau (Tourism), Cosmopolitan Magazine, Traveler Magazine, Pearl Magazine, The Daily Guardian and KLM On Assignment. She is currently a travel insider for Choose Philippines, blogs her travels at www.elaljanelasola.com, and portfolio at portfolio.elaljanelasola.com. For bookings, collaborations, invites, email elal.lasola@gmail.com.